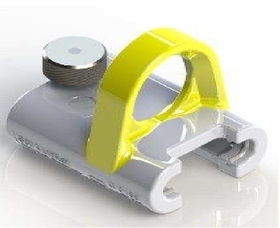 The MultiRail horizontal anchorage device is a new type of personal safety system combining all the advantages of wire rope-based and rail-types stationary systems. MultiRail offers a very wide range of installation possibilities and guarantees protection against falls in hazardous zones, in accordance with European Standards. 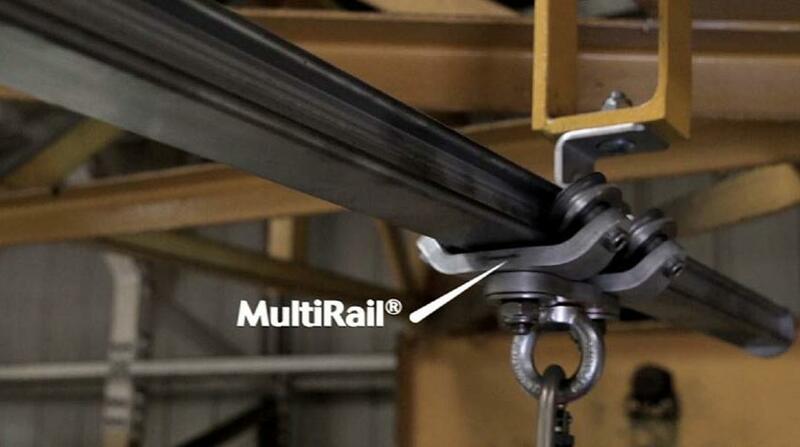 Due the simplicity of its design, MultiRail does not have to be serviced yearly as must be done with cable lifeline systems – thus reducing lifetime costs. 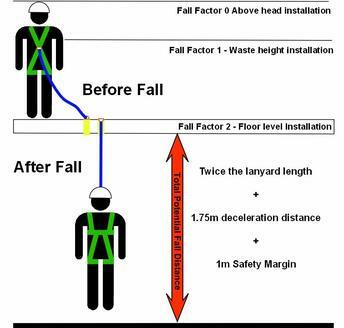 Waist Height Installation (Fall Factor 1) – this installation can be used for fall arrest or restraint and can also provide a handrail. 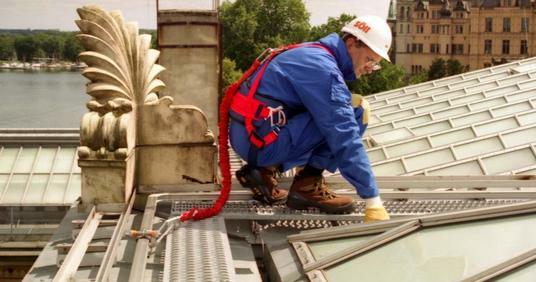 Above Head Installation (Fall Factor 0) – this installation provides the safest solutions when there is a fall risk and can be used in fall arrest or fall restraint. 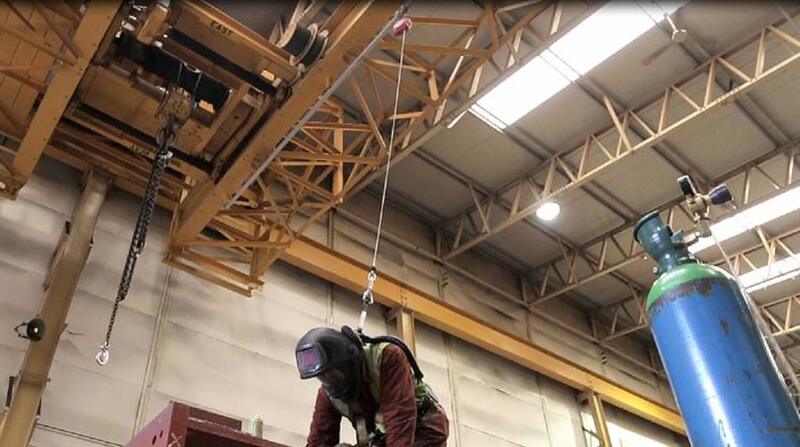 Fixing centres can be up to 4m and it is certified for simultaneous use by up to 6 persons. In the case of a fall, the resultant forces are absorbed by the intermediate brackets therefore the end fixings loads are much lower than in the case of cable lifeline systems. 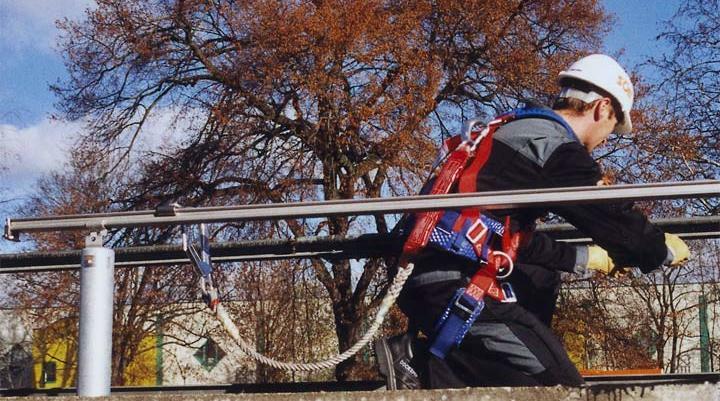 MultiRail has been fully tested according to the European Guidelines for personal safety equipment. The Söll MultiRail Horizontal Rail System conforms to the latest European standard EN 795:2012 type D and CEN/TS 16415:2013 regulations for horizontal anchor devices. Stainless Steel product line is resistant in the toughest environmental conditions. 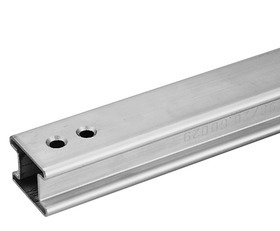 Aluminium system provides the best price/quality solution for low-corrosive work environments. MultiRail can be customised to your building or structure design. 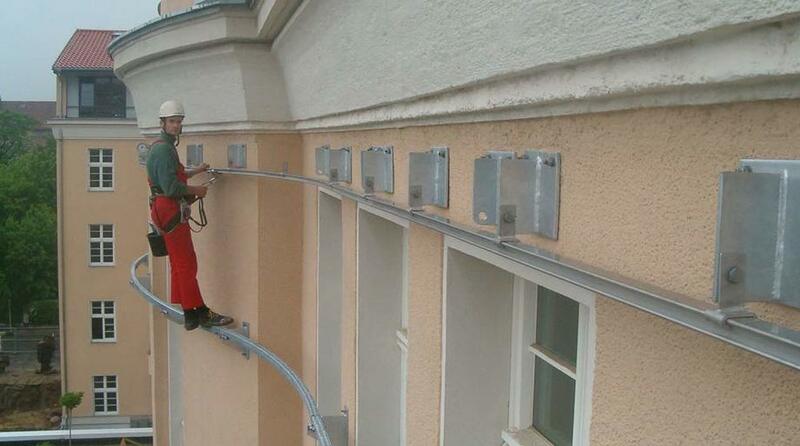 The Söll MultiRail® system can now be used as an abseiling Rail, allowing people to work in suspension on façades (cleaning, painting, maintenance etc.) in a stainless steel version and provides a safe and ergonomic anchorage solution. Unlike other abseiling rails the MultiRail system has a discrete design allowing it to be almost un-noticed ensuring that the ascetics of the building are not jeopardised. Our Lock able gliders allow users to work from a fixed position on the rail reducing possibility of swing movement from wind. 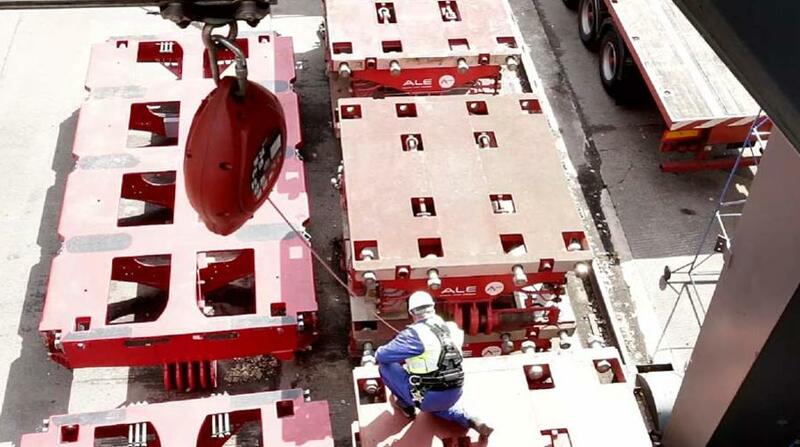 The Söll MultiRail® system meets the latest European standard EN795:2012 for anchorage devices type D and CEN/TS 16415:2013 specification (for multi-users).